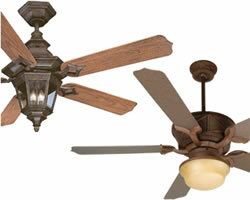 More Fanimation fans can be found on other Ceiling Fans pages. No built-in capability of adjusting for a slope ceiling. Blades: A set of two 27˝ plywood blades—sold separately. 15 amp electrical feed, centered under motor unit. Fan is rated for dry locations only. 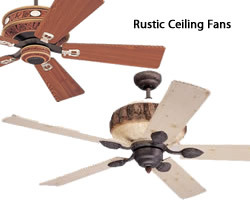 For more then a century, vertical ceiling fans have provided relief from the stress of the day. The Palmetto and its unique blade design can be extended up to 45' and is available in several different finishes and has multiple blade option. 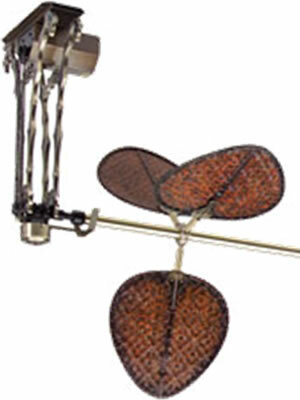 Up to 3 blade sets can be used per section. Various Palm and Bamboo blades are sold separately. 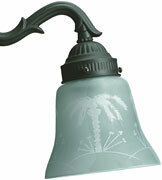 C Ceiling to Shaft 27"
J Base Stem Length 4"
†Supports can be spaced from between 48" to 119". Outside of base to outside of base, if entire 108" shaft is used. Shaft is cut to Length required at Installation. NOTES: Not designed for significant air movement. Not recommended for sound-sensitive areas (chain-driven motor). Optional lighting fitters and light kits are available, including a single bowl fixture with a maximum of 180 watts and a variety of four-light fixtures with a maximum of 240 watts. Can be only mounted on the cap housing. 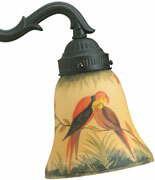 Installation: instructions provided with each light fitter and light kit. 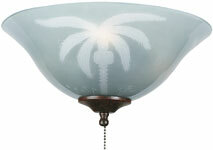 This collection of ceiling fans combine effective cooling with natural palm leaf or woven bamboo fan blades. 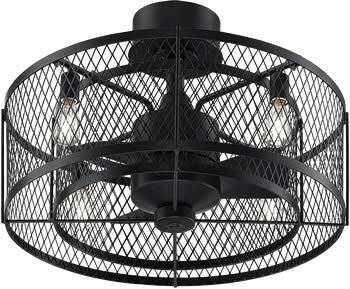 The Punkah® carries on Fanimation's reputation for reproducing unusual, yet functional fans. 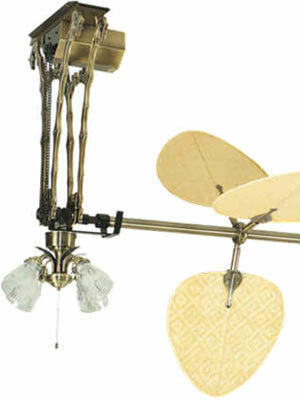 Old-World Grace and Sophistication awaits your home with this unique wall or ceiling mount fan. 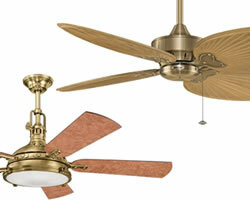 Combining old-world elegance with newest technology gives The Bourbon Street® fan a truly unique flare. 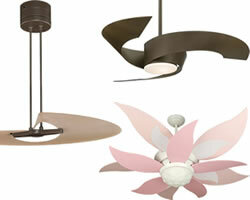 This group of unusual ceiling fans fits into your modern or contemporary home. 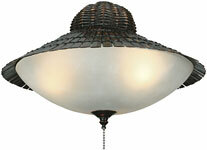 These Rustic style ceiling coordinate with your cabin style interior or add an instant rustic feeling to any home. 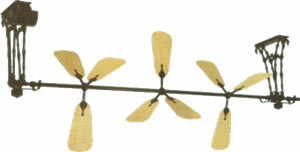 Ceiling fans from Monte Carlo, Craftmade, Savoy House, Industry in Galvanized, Copper or other finishes. 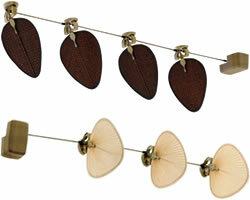 Fanimation Torrento Floor Standing Fan for Deck is a fan for all seasons. 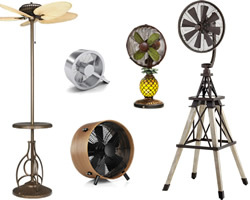 Enjoy the sunshine with this free-standing wet location rated fan. 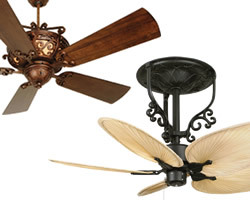 Next to your chaise lounge, to the pool, in your patio table in place of your umbrella or anywhere you need a cool breeze on a hot summer day, this fan will be there. The Fargo, a throwback to the classic desktop bank fans of the 1920s, ingeniously creates a big breeze without rustling the paperwork beneath it. The Fitzgerald - Jazzy Style with a Twist! 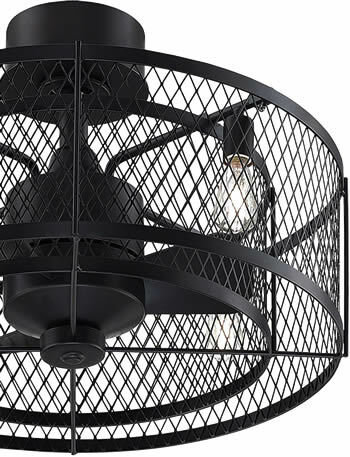 Table or wall mount, this oscillating fan will make your head spin! 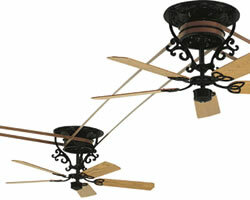 These ceiling fans coordinate with a traditional or historic interior.